Ask Yourself: How Do Readers See Your Blog? It’s time for day 17 in our 31 Days to Build a Better Blog challenge. Here’s a frightening reality – within just a few seconds of arriving on the blog that you pour hours and hours of time and energy into, a new reader will make snap judgements about what your blog is about and if it is worth their time to spend time on it. First impressions are so important in real-life interactions but online it’s even more so. You might look at your blog hundreds of times a week and therefore might miss little things, or be so familiar with it you don’t know what it’s like from a new reader perspective. It can be nerve-racking to hear feedback about your pride and joy, but it’s necessary to ensure you’re providing readers with a place they want to stay. And the only way you’ll know how they feel about it is to ask them. Today’s challenge is to conduct a “first-time reader audit” on your blog and try to see it from their perspective, so you know what you can tweak to make their experience better. In this episode tell you how best to do this, and a list of things you’ll need to complete the audit. I’ve also got a series of questions to ask yourself as you watch the reader go through your blog to gauge their reaction. There will be questions you can ask them to prompt their description of their experience and give you valuable insight into how your blog looks to the outside world. The show notes also include some tools and services to make this easier for you – especially if you don’t have a newbie on hand! Good luck – would love to hear how you go. Click here to listen to day 17 of the 31 Days to Build a Better Blog series on the ProBlogger Podcast. Suggestions for a Better Blog: Help Me Enjoy Your Blog! – some pet hates. Are You Making These Common Website Navigation Mistakes? – Kissmetrics tells you what people often get wrong and how to fix it. The girls at A Beautiful Mess run through 10 Blog Layout Tips that will help keep people on your blog. The post Ask Yourself: How Do Readers See Your Blog? 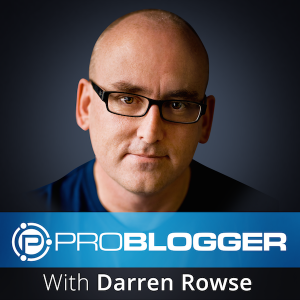 appeared first on @ProBlogger.